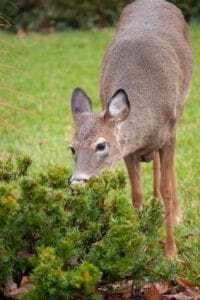 Lawn disease can affect any lawn at any time; regardless of having a professional lawn care company or, if you are a do-it-yourself, lawn diseases can and will happen. 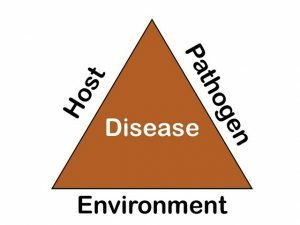 A disease in a lawn can occur when a host (grass), a pathogen (fungi) and ideal environmental conditions are present. These conditions include but are not limited to day time and night time air temperatures, moisture, rain, sunlight, lack of sunlight, and improper watering and mowing. Once these factors, although different for each disease, are met the disease can start up. If the environmental conditions remain favorable a disease can persist for extended periods of time. The longer a disease remains active the more damage it can potentially do to the turf. Fungi can remain dormant in the soil for years until the correct environmental conditions that favor a specific disease before an outbreak occurs. 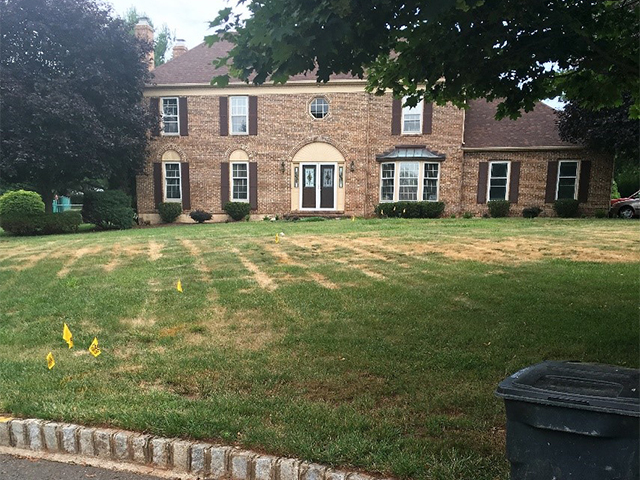 Lawn diseases can be distributed by wind, rain, foot traffic, lawn mowing equipment, etc. Common for the late spring, ascochyta leaf blight can greatly impact the look of the lawn. Ascochyta leaf blight is a common foliar disease that occurs in the late spring to early summer. This disease is more common during hot, dry periods and followed by cool and rainy conditions. The symptoms of ascochyta leaf blight appear as large irregular patches of turf that rapidly turn a straw-color and appear to be dead. From a distance the straw-colored areas resemble drought stress. The infected leaf blades appear to be sucked in from the tip down. While this disease looks very serious when outbreaks are widespread, it is actually quite harmless. This disease will not cause any permanent injury to the lawn. This disease will spread very fast by foot traffic, rain, and lawn mowing. Often times, mowing machines pick up the fungus and spreads the disease throughout the lawn, creating a stripe like pattern of the disease in the lawn. Cultural practices are the only way to help get rid of the disease. This picture illustrates how ascochyta leaf blight can be spread from a mower. What kind of grass does it effect? 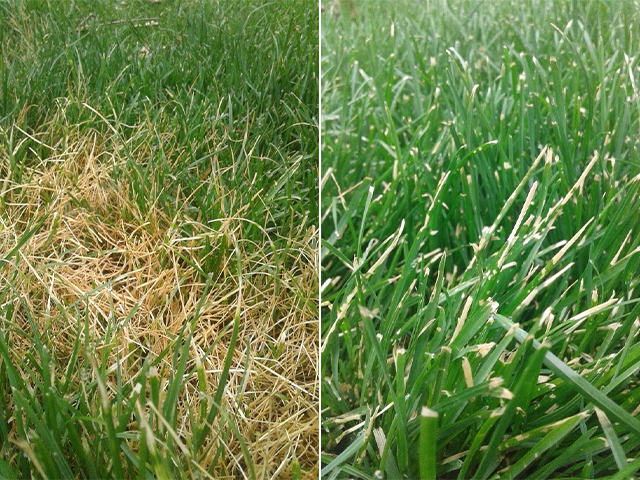 Kentucky bluegrass is the most susceptible to ascochyta leaf blight; however tall fescue and perennial ryegrass types are also vulnerable to the lawn disease. Watering properly is key to controlling ascochyta leaf blight. Avoid light, frequent irrigation in the early morning while surface moisture is present. Deep, infrequent watering that occurs between 12 am – 6 am and we recommend to water 1 – 1 ½ hours per zone every third or fourth day is best. 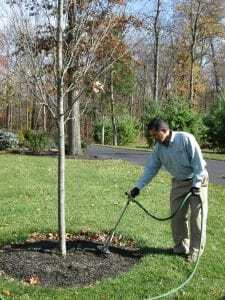 For more information about watering your lawn, check out our blog. Proper mowing also helps. Do not mow in the morning when the lawn is wet from the dew or last night’s scheduled watering. This will spread the disease further. Mow the lawn in the afternoon when the surface moisture has evaporated. Keep the lawn height at 3 – 3 ½ inches in length. Mow off 1/3 off the grass plant at a time. Fertilize regularly to help stimulate growth of the grass. The faster the grass is growing the faster the disease will get grown out of the lawn on its own. Core Aerate the lawn regularly in the early fall to help reduce thatch (where disease harbors) soil compaction. This will also help to create a stronger root system and grass plants. Unfortunately, fungicide treatments are not available for this particular disease. It is important to remember that ascochyta blight will not kill your lawn. It simply needs to grow out on its own with a little help from you, the homeowner. If the conditions remain favorable this type of disease can persist for weeks. After all cultural practices have been done, the only other thing you can do is be patient. Give it time, your lawn will be okay. If you have any questions about ascochyta leaf blight and you are in our service area, please give our office a call at 908-281-7888 or request an estimate.